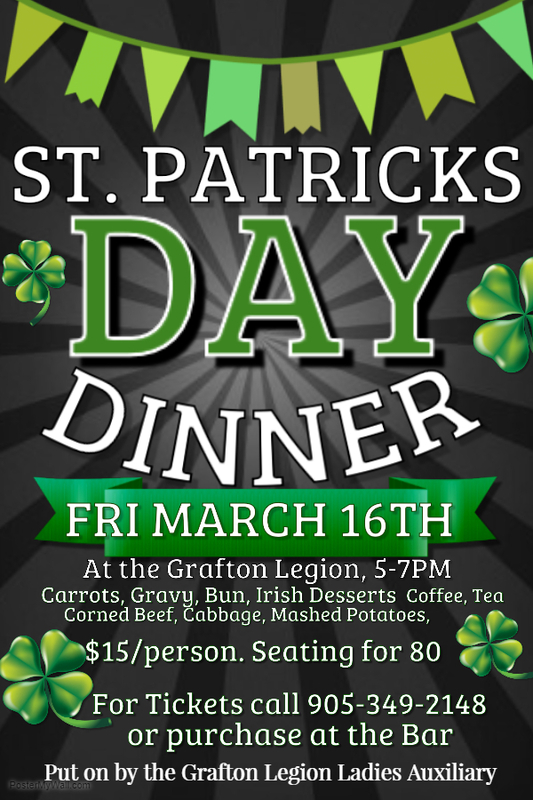 The Grafton Legion LA present our St. Patrick’s Day Dinner! Fri March 16 5-7pm. $15/person with seating for 80. Dinner consists of Corned Beef, cabbage, mashed potatoes, carrots, gravy, bun, irish desserts, coffee, tea along with music to fit the occasion!